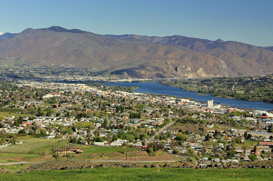 East Wenatchee is one of the most desirable cities to purchase real estate in the Country. East Wenatchee was originally known for being the landing spot of Clyde Pangborn and Hugh Herndon after a 41 hour flight from Misaa, Japan in 1931. Now East Wenatchee real estate is known for having one of the best locations around. Only 20 miles from Mission Ridge, minutes from the Columbia River and Cascade Mountains. East Wenatchee real estate incudes Fancher Heights East Wenatchee homes, Briarwood homes, East Wenatchee Country Club homes, Highlander golf course real estate, Peach Haven East Wenatchee homes, Stone ridge East Wenatchee homes and many other quality neighborhoods. The Nick McLean Real Estate Group has a market center with local experts and professionals to serve all your East Wenatchee Real Estate needs.